"SB 10 and HB 1774, more aptly referred to as the "The Blue Tarp Bills," lessen penalties for insurers and prolong the rebuilding process for Texas communities. Texans purchase insurance to protect us in our time of need. When insurers cheat their customers by denying, delaying, and underpaying valid claims, our entire state suffers. Families, businesses, churches, and schools need full payment from their carriers to rebuild after disaster. Lessening penalties and pushing cases into already-clogged federal courts only makes it more likely insurers will leave property owners in the lurch in order to further pad their profits. 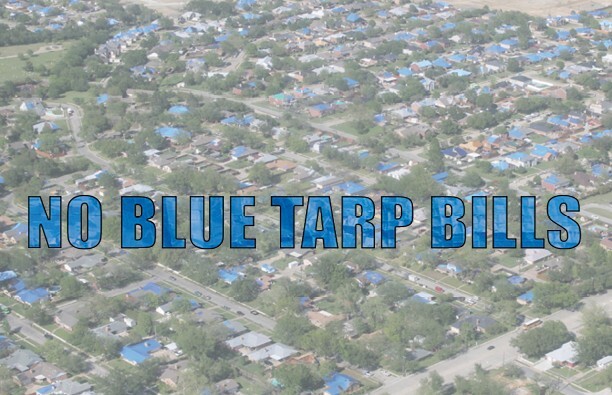 If insurance lobbyists have their way, Texas will be blanketed in blue tarps. The Texas Legislature must stand firm against this attack on their constituents and communities." Founded in 1998, Texas Watch is a non-partisan, non-profit citizen advocacy organization that is active on issues related to policyholders, other consumers, and public safety. For more, please visit http://www.texaswatch.org/protectpolicyholders.